This comes on top of two other important developments in this space. First, significantly tighter bank credit. In recent months finance for any type of residential investment property has become notably more difficult as the banks reduce interest-only lending at the behest of the regulator APRA, lenders adopt lower LVRs (loan to valuation ratios) and lower growth in investment property lending, generally, kicks in. Not only has it become harder to secure finance, but when it is obtained the cost is generally higher for the borrower. Second is negative residential price movements. "Last month (July 2018) we saw our national index move through the tenth straight month of falling home values. Since peaking in September last year, the Australian housing market has recorded a cumulative 1.9% fall in value; a relatively mild downturn to date, especially when you consider that values remain 31% higher than they were five years ago." CoreLogic reports falls in Melbourne residential prices were the greatest, at 1.8% for the last three-months to the end of July, whilst Sydney’s were down 1.3% for the same period. Property is a fundamental element of many SMSF/retirement portfolios. The major institutional investors such as the big super funds and insurance companies typically allocate between 8% to 15% of their portfolios to commercial property. 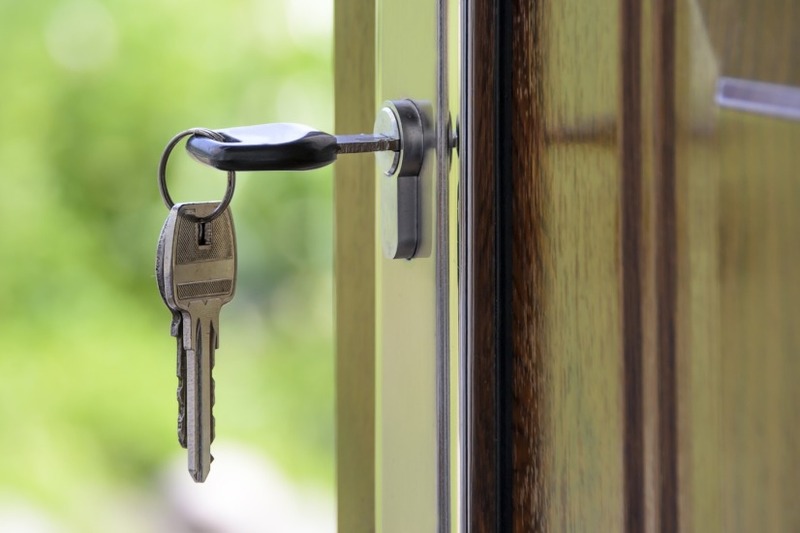 It’s generally agreed the two most common forms of property investments made by trustees and members of SMSFs are business premises relating to a trustee or member’s business, or former business, and residential investment units. Few SMSFs ever purchase such investments with 100% cash. There is nearly always a smaller or larger element of gearing, that is, borrowing. The drying up of bank finance will cause many trustees to look elsewhere to fulfil their allocation to property in their fund. Both have a significant number of advantages. A critical one in this lending climate is that both investments allow trustees the advantages of borrowing ‘built-in’, as both direct property funds and AREITs usually have gearing ratios of between 25% to 45%. As a policy, the funds managed by my firm, Charter Hall, also believe this to be a prudent level of borrowing for a fund with retail equity. The higher the borrowing the potentially higher the returns, but also the higher the risk. In property downturns highly leveraged funds can have their equity, investors’ money that is, dramatically reduced. A second attraction is that the focus of both direct property funds and AREITs is not residential property but investment grade commercial property, which is the investment property sector of choice of big institutional investors and government pension funds such as the Future Fund. The net returns from residential property investment, despite the headlines of many daily papers, are too dependent on capital growth and too unpredictable. Once transaction costs and holding costs are taken into account (stamp duty, legals, repairs and maintenance, land tax, rates and sales commission etc) the average annual income yield of residential investment can be in the low single digits and often negative, with the whole investment being a capital gains play. This is all well and good in a rising residential property market but a less than attractive proposition in a stagnant or falling market. Investment-grade direct property funds that I oversee at Charter Hall have a current target of around a 9% pa total return - income and capital growth - and have a current prospective running income yield from 5.8%pa: the award winning Charter Hall Direct Office Fund, which focuses on prime CBD office buildings; through to 6.2%pa: the Charter Hall Direct Industrial Fund No.4 which invests in industrial and logistic related commercial property tenanted by major Australian businesses; to 6.7%pa: the Charter Hall Direct Diversified Consumer Staples Fund which invests in commercial properties tenanted by producers and distributors of consumer staples goods; and 6.9%pa:the Charter Hall Direct PFA Fund which invests in predominantly government tenanted office buildings in Australian capital cities. Charter Hall also has a range of AREITs, which are easily access via the ASX, with attractive returns. Unlike our direct property funds, whose values reflect the underlying net tangible assets (NTA) of the fund, AREITs may trade at above or below NTA depending on fluctuations in the level of the stock market and specific investor sentiment. AREITs have the advantage of being totally liquid - one call to your broker, or click on your mouse, and your investment can be realised, whilst direct property funds usually have an investment term of around 5 years and are designed for investing from ones ‘non-cash bucket’. Either way the drying-up of bank lending to SMSFs can be viewed as an opportunity to look beyond residential property to secure attractive returns from investment grade commercial property, rather than a cause for hand wringing.